Apparel boxes are a helpful solution to offering your customers extra packaging for their purchases. Our 11" Kraft apparel boxes are constructed using 100% recycled material. The material has a pin-stripped ribbed look. 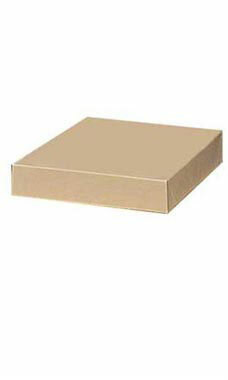 These boxes are just the right size for a range of products including dressy blouses or lingerie.